Local business owners who reopened following the passage of Hurricane Maria have been lauded by Prime Minister Roosevelt Skerrit. 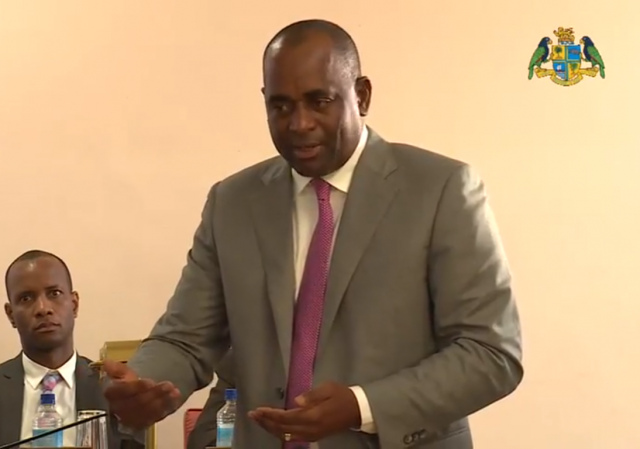 Mr. Skerrit, who was wrapping up the 2018/2019 budget debate at the House of Assembly on Tuesday 31 July 2018, described these business people as “resilient”, having an “indomitable spirit and a commitment to this country”. “When you see what they have gone through and what they have done; the little insurance money that they got, some of it was late, some of them they have gone into their savings to do their clearing, do their restocking. I mean we really have to commend the local indigenous private sector for really demonstrating confidence in their country because they would have left,” the prime minister said. With these businesses reopening following the devastation suffered, he said they have placed themselves at further exposure and risk all in an effort to create employment. These businesses he continued not only reopened but have done so coming back better than they were prior to the hurricane after being painstakingly rebuilt.